It’s refreshing to see some solid benchmarking on the trends in the NFP sector. In this 10th edition M+R Benchmarks has created some highly useful data on trends in online fundraising. It involved 105 participants in eight sectors. Interestingly, it shows a decline in response rates to emails; revenue growth increased by growth in email lists. The report shows an increased trend in monthly giving which is very positive as this is a great way to provide sustainable revenue for organisations. You can read the whole report here and I’ve quoted some highlights below. By the way, the report includes some useful and illuminating graphs particularly about which sectors are growing and which are declining. For every 1,000 email subscribers, nonprofits have 355 Facebook fans, 132; Twitter followers, and 19 Instagram followers. In 2006, those numbers were basically zero, zero, and zero: Facebook was limited to .edu email addresses, Twitter was just about to launch, and Instagram’s founders were still in college. Nonprofits invested $0.04 in digital advertising for every $1 of online revenue. This might not seem like much, but considering that overall online revenue grew by 19% in the last year, digital advertising is an increasingly important market for acquisition, conversion, and retention. The volume has been turned way up: the average nonprofit in our study sent the average subscriber on its list 49 email messages in 2015. 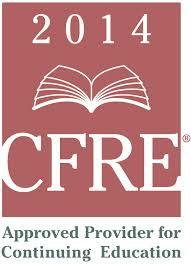 Just recently I decided to apply for certification as a Certified Fundraising Executive (CFRE) Why? What? Did you know you could be such a thing? I was encouraged by my highly professional and effective fundraising colleague Stephen Mally of Fundraising Force that this was something that was considered highly important for all fundraisers and I do agree that it is important that we help recognise the skills and abilities required to be provide excellence in this challenging – and somewhat undervalued – field. It is not, as a lovely contact said to me the other day, just a matter of sending out a few ‘begging’ letters. He added: ‘Surely your assistant could do that?” I hope there’s more to fundraising than a few sporadic mailings no matter how well written? For me, it was a choice to acknowledge the commitment I had made to my own career over these past 16 or more years. It was a way to promote the continuing professionalism of the sector and to encourage others to seek to further their own careers. So I’ve signed up and will take the exam later this year. I had a look at the number of Australian ‘graduates’ to the certification and while there were a few there were not that many. So it made me ask? Do you think it’s worth the effort? Should it matter whether you’re a CFRE? I’m interested in your thoughts. And will let you know how I go with my study before the exam. It never hurts to brush up on your knowledge and I’m sure I’ll also learn a few things I didn’t know before. If you’d like to find out more about CFRE, visit www.cfre.org or go to the Fundraising Institute of Australia website for more information. Thinking about entering the corporate partnership space or improving your results in this area? 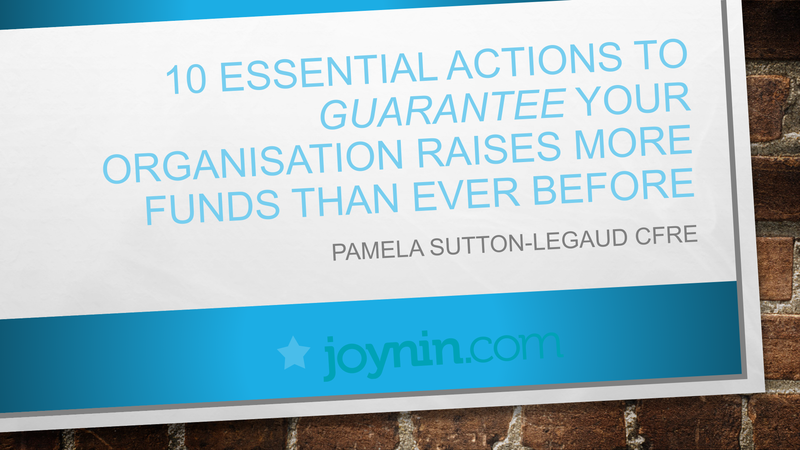 Pamela Sutton-Legaud suggests some things you should have in place before going to market. The following are ten tips you may like to consider, which will save you and your potential sponsor time, money and energy. It’s better to proactively determine these points rather than to be unprepared when a potential partnership opportunity arises. 1. Allocate responsibility for partnerships. Allocate a team or team member who has, as part of their job description and key performance indicators, the responsibility to deal with and negotiate corporate partnerships. This is particularly important in organisations that have a range of entry points, to ensure all potential partners are consistently appraised and receive the appropriate level of benefits to reflect the level of partnership. 2. Define organisational values for partnerships. Assist your staff by working with your board or executive team to create a corporate sponsorship policy which details what sort of industries conflict with or enhance your core values. Using an obvious example, if your organisation aims to assist people struggling with addiction, be explicit whether you will accept funds from tobacco companies, alcohol companies or gaming companies. 3. Create a selection criteria framework for sponsor partnerships. In support of your policy, it helps to create a sponsorship framework which outlines how you will select or accept new partners, how to acknowledge donors/sponsors and what you can give back in terms of value for their sponsorship dollars. Consider if you receive $5,000 or $500,000 gift – what could you offer to a sponsor at various levels of support? While each sponsor has different needs and requirements, you can develop some basic guidelines to get the conversation started. Defining this early – and the benefits that do/don’t come with each – can save a lot of headaches down the line. 4. Prepare a partnership benefits overview. Prepare a short guideline document to provide to any sponsor who should approach you which provides an overview of how you work, what you can offer, and why you’d be a great partner, as well as any selection criteria that you would apply to any sponsorship application. It allows you to respond to any requests quickly and professionally. It also allows a potential sponsor to self determine how good a fit they are with you, your stakeholders or audience. 5. Evaluate prospective partners’ organisational fit. Consider which types of organization are ‘natural’ and ‘unnatural’ partners for your cause. 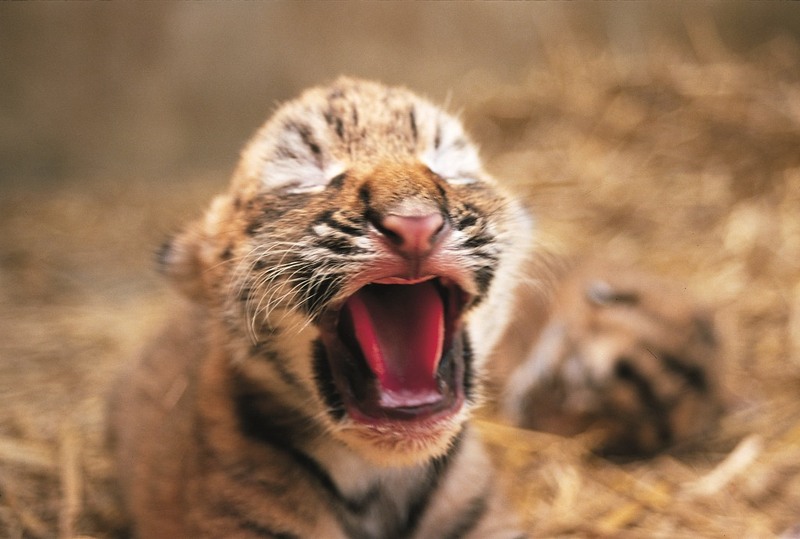 At Zoos Victoria, we are a natural fit with organisations that wish to engage with a large family audience, as almost two million people visit our zoos annually. So, fast moving consumer goods organisations or those focused on a consumer audience are a good ‘natural’ fit. As such, when Zoos Victoria entered into a partnership with ANZ bank, this was a very natural fit for both parties as our audiences and values were well matched. 6. Look for a values match. It’s important to be explicit about your own organisation’s values and review how they align with a prospective partner. Zoos Victoria takes a G-rated approach to our family audience so we want to collaborate with organisations with similar values. We are also a nonprofit conservation organisation, so we want to work with organisations that are likeminded and consider the impact of their actions and those of their customers on the environment. We’re here to protect and defend endangered species and we want to work with those organizations that actively support this goal. 7. Consider the value/effort of possible partnership. Nonprofits are time poor and relationships are time intensive, so it makes sense to evaluate the effort to reward ratio of a prospective partnership. Zoos Victoria uses a simple but powerful decision making framework which offers a simple way to assess a potential partnership activity. We look for partnerships and activities that sit in that top left hand corner – the ‘sweet-spot’ of low-medium effort for high value. This works in everyone’s favour. 8. Aim for multi-year partnerships. Wherever possible, look for multi-year partnerships to make the most of the work that goes into a partnership agreement on both sides. Negotiating multi-year partnerships allows time for the relationship to form and grow, while assuring partnership goals are met along the way. Good results come from time and reasonable levels of effort. 9. Record each partner’s goals. Create clear goals and don’t be afraid to clarify all the key outcomes of the partnership in a written sponsorship agreement. It is much easier to clarify your partnership benefits and commitments at the beginning of the relationship, than half way through. 10. Implement a regular review process. With clearly written up goals in place, you should regularly review the partnership’s progress against expectations to evaluate whether it’s meeting each partner’s expectations and take steps to improve on the relationship where possible. With this approach you can create enjoyable, mutually-beneficial relationships that continue for many years through open communication. Pamela Sutton-Legaud is the Executive Director of the Zoos Victoria Foundation and leads the strategic direction for institutional and individual giving for Werribee Open Range Zoo, Healesville Sanctuary and Melbourne Zoo which celebrates its 150th anniversary in October 2012. A few times I’ve been asked by people wanting to change career direction whether they should take a job in the not for profit sector. I thought you might be interested in a few (there are lots more) things you’ll encounter if you make that choice. Love to hear your comments. It will mean working with lots of inspirational women! What is it about the NFP sector that attracts women? Cynically I could argue that they’ll put up with the lower pay scales more readily than men! However, they also work very hard and put the cause right out in front as a beacon of hope and energy. 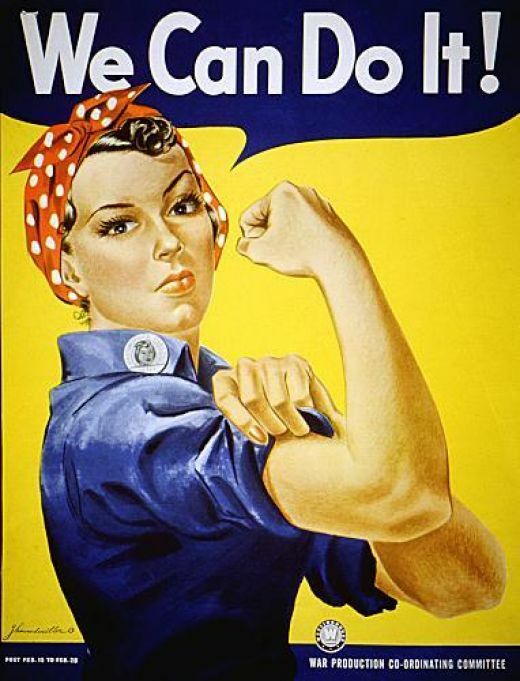 I love the women working in our sector, they are so inspirational! Some of the women board directors I’ve met are absolutely driven and fantastic mentors. It won’t be easy! A few hopeful but misguided souls consider a move to a nonprofit organisation will mean that life won’t be as stressful or busy as working for a commercial business. (I recall the job candidates who when asked why they’re considering a job in the NFP world answer “I’m looking to slow down a bit!” Not likely!) It might actually be a bit more stressful! You may have fewer resources including staff and money and you may be working on issues that create emotional stresses – like considering the needs of children living in poverty or those dealing with cancer or depression. It will be more rewarding! Almost certainly if you choose an organisation that follows a cause not led by the balance sheet, you will find it rewarding. How much more rewarding depends on how much you put into it and how much the cause matters to you. It will mean coming face to face with your own values! What matters to you? What gets you up in the morning? What drives you and makes you angry/motivated and ready to take on the world? Find the organisation that meets your values and you’ll have found your cause. It will mean asking others for money! If you are unsure if you are ready to ask others to financially support your cause, you may not want to work in the sector. Government funding is always limited and donor funding is often fickle so no matter what your role from scientist to receptionist, you will one day be asked to help out with fundraising. It’s not hard but it can appear to be confrontational. You’ll learn that by encouraging others to give, it’s a great way of connecting them with their values. A worthy cause indeed.